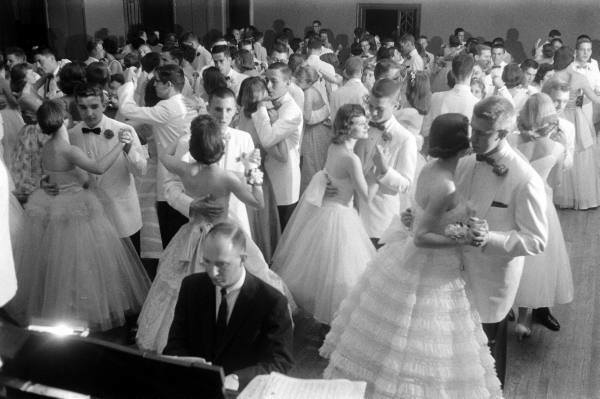 By popular demand, this February’s sock hop has been deemed prom-themed. In our excitement to make sure you guys have a rockin’ good time among friends, family and loved ones, we’ve hired a LIVE BAND for the first time ever – The Junco Royals!! ABOUT: Live music, dancing, and great company! Dress is formal (prom theme) and this is a BYOB event. Please be responsible. Purchase your tickets in advance and get more details HERE. New to Lindy hop? The beginner lesson will get you started! Spectators are also welcome to come and just enjoy the band. PARKING: If the lot fills up, the vet clinic next door can be used for overflow.